This Durable Packaging Loaf Pan with dome lids have a decorative snowflake design. It’s perfect for holiday parties and gifts. 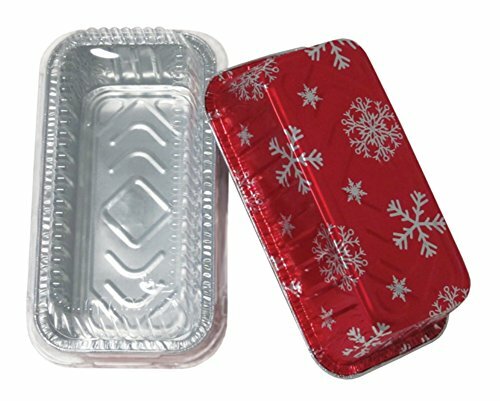 This aluminum foil pan is disposable making clean-up a breeze. Measures 8-7/16-inch x 4-5/16-inch at top, 7-3/8-inch x 3-1/4-inch at base, 2-1/4-inch deep. Made in the USA. This is a 100/100 pack, with 100 pans and 100 lids.